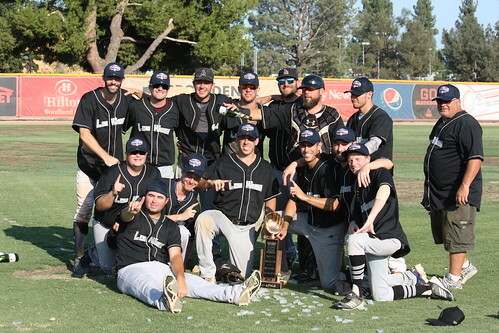 Game 2 of our 2016 Championship Series was played between the top two AAA teams in the regular season - the 2-time defending champion Wailers and the top-seeded Los Kings. Their pitchers went 1-2 in the Cy Young balloting, so all expectations were for a low-scoring, defense-minded game. To borrow a quote from Robert Burns, "how the best laid plans of mice and men often go awry." Ryan Brockett took the hill for Los King, and immediately found himself in some trouble. 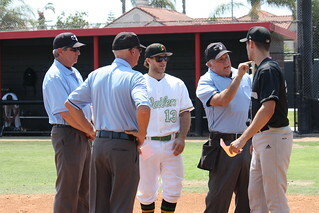 Wailers' leadoff man Ben Gavin doubled to left, and Rod Boaz walked. Jeremy Boyle reached on a fielder's choice/error, loading the bases. Tony Stutevoss brought home one on a fielder's choice before Brockett worked his way out of the inning. The Wailers would temporarily hold a 1-0 lead. With Rod Boaz on the hill for the Wailers in the bottom half of the inning, Matt Gray led off with a single. Christian Cardenas reached on a fielder's choice, and Nick Santoro doubled him home to tie things up. After 1, the score was knotted at 1-1. 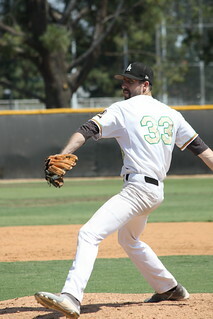 Both pitchers worked a quiet second, and the Wailers got back to work in the 3rd. Gavin again doubled, scoring on a Tony Stutevoss single. Stutevoss got greedy, and was gunned trying to stretch his hit into a double. Boaz worked a perfect 3rd, and after 3 in the books, the Wailers held a 2-1 lead. The score was the same heading into the bottom of the 4th, when the wheels would start to fall off for the Wailers (alliteration!) Los Kings Gio Mazzola led off and reached on an error. Sean Abate singled, putting runners on the corners. An errant pick off throw plated 1 and moved Abate to second. Brockett reached on a fielder's choice/error, and John Coulsell reached on a 3-base error to right field, plating a pair. Sean Solomon then singled home Coulsell. In the inning, Los Kings scored 4 runs on 3 hits and 4 errors, taking a 5-2 lead. Things didn't get better for the Wailers after that. Leading off the bottom of the 5th, Los Kings Gio Mazzola reached on an error, and after a fly ball out, Ryan Brockett double, putting runners on second and third. With 2 outs, Aaron Amman singled home 2, giving Los Kings a 7-2 lead. 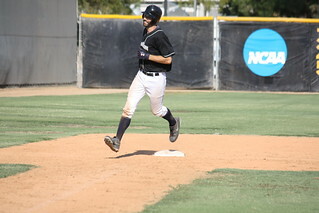 Then leading off the bottom of the 6th inning, Matt Gray reached on an error. Manager Christian Cardenas reached on a hit by pitch, and both runners started swiping bases. An errant throw by the catcher plated one, and Nick Santoro singled home another. With 1 out, Sean Abate and Ryan Brockett each singled to load the bases, and Santoro scored on a wild pitch. Jason Surat walked to load the bags again, and Sean Soloman brought home another run with a walk on his own. Los Kings scored 4 runs on 3 hits, 2 walks, a hit by pitch and 2 more errors. That would end the day for Boaz, and thought he allowed 11 runs, only 3 were earned. Rick Pozo came in and finished the inning for the Wailers, but the damage was already done. After 6, Los Kings led 11-2. Meanwhile, Ryan Brockett was plowing through the Wailers' lineup. From the 4th through the 8th innings, he only allowed 3 baserunners while striking out 8 batters. On the Wailers' side, it was unfortunately a case of too little, too late, as Rick Pozo worked quiet 7th and 8th innings, allowing just a solo home run to Sean Abate to tarnish his stat line. Entering the top of the 9th, Los Kings only needed 3 outs to clinch the championship. 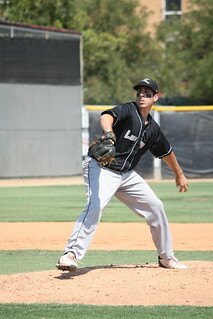 After one quick strikeout, Ben Gavin reached on a strikeout/passed ball to keep the inning alive. With 2 outs, Jeremy Boyle doubled home Gavin (who scored 3 runs on the day for the Wailers.) Tony Stutevoss knocked in his 3rd run of the day with a single, but Los Kings finished the game off with a fly ball to their manager in center field, and the celebration was on. 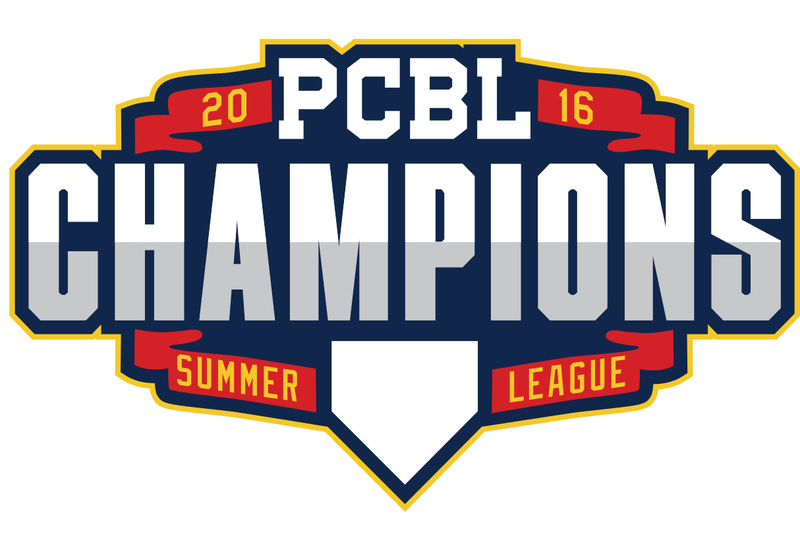 Congrats to the Wailers on a solid regular season, but this day belonged to Los Kings, your 2016 Triple A Champions! Congratulations to the 2016 AAA-Division Champion Los Kings!